That day was my Uncle's wedding day.I took these pictures by my smartphone ,not edited yet.On that day we had enjoyed a lot. whos wedding photo? Nice photo. That was my own uncle's wedding photo.Thanks for your upvote and comment. You got a 15.38% upvote from @moneymatchgaming courtesy of @nahid05! Please consider upvoting this post to help support the MMG Competitive Gaming Community. You got a 60.00% upvote from @peace-bot courtesy of @nahid05! You have been defended with a 14.61% upvote! I was summoned by @nahid05. This post has received a $39.39 % upvote from @siditech thanks to: @nahid05. You got a 28.45% upvote from @whalecreator courtesy of @nahid05! Delegate your Steem Power to earn 100% payouts. This post has received a 100.00% upvote from @aksdwi thanks to: @nahid05. You just received a 57.14% upvote from @honestbot, courtesy of @nahid05! 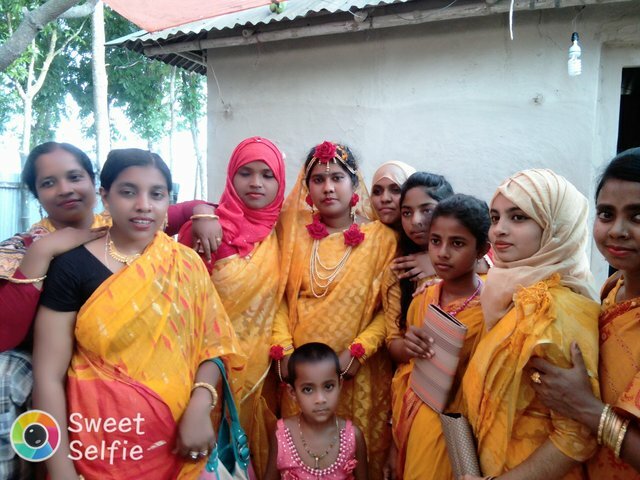 This post has received a 58.33% upvote from @msp-bidbot thanks to: @nahid05. Delegate SP to this public bot and get paid daily: 50SP, 100SP, 250SP, 500SP, 1000SP, 5000SP Don't delegate so much that you have less than 50SP left on your account. You got a 31.82% upvote from @steembloggers courtesy of @nahid05!